After the success of Gilbert White Gin No. 1 & No. 2, Gilbert White & The Oates Collections are proud to present No. 3, a new gin made in partnership with Winchester Distillery. Gilbert White Gin no.3 has been made with botanicals from White’s garden, which is tendered and cared for using historical plants and methods; this gin is not only exceptional to taste but one of a kind. The gin is distilled with seasonal fruits and herbs harvested in Selborne this Autumn, and hints of Pineapple Mint, Bay Leaves, Sage, French Tarragon, Summer Savoury and Rosehips can be found in the new infusion. The gin is the result of an innovative partnership between Winchester Distillery and Gilbert White & The Oates Collections. 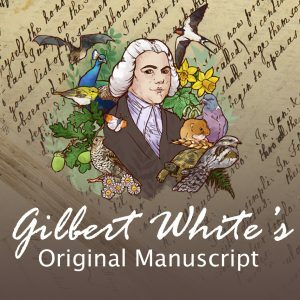 Gilbert White’s diaries tell us that the great man used the produce from his gardens to form his own recipes of pioneering brews and wines. Paul Bowler who owns Winchester Distillery known for its Twisted Nose range, has blended flavours from White’s garden to create a quirky, flavoursome and sophisticated gin. As with our past Gins, there will only be a very limited amount of this first batch being distilled, and therefore this gin will only be available for a short time. So make sure you get it while you can. 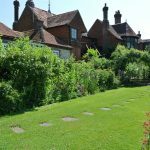 It will be available to two sizes 35cl which will be retailed at Gilbert White’s House for £22.00 and 70cl at £36.00. The Gin will be launched in early December (keep your eyes peeled for the exact day and time!) and will be available for collection well in time for Christmas! The bottles will only be available by collection, but make sure you pre-book to ensure you have your bottle!